The new year brings new possibilities! 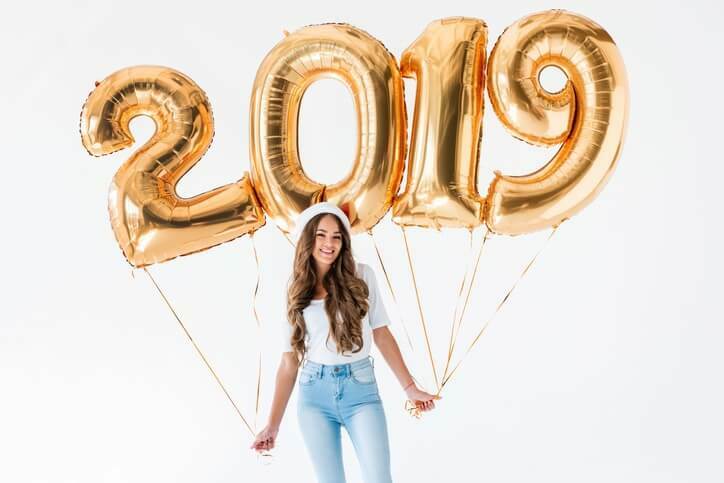 If you’ve been thinking about how great it would be to have a smile you loved in 2019, we are here to help! NEED AN EXCUSE TO SPLURGE ON YOUR NEW SMILE? It’s no secret that confidence can lead to success, and you deserve to feel confident about your smile. But, what makes dental implants a good option for building your perfect smile? Here are a few of the reasons we find our patients choose them. They feel like your natural teeth. Compared to dentures, dental implants feel like your natural teeth. Your natural teeth are anchored to your jaw, and dental implants are too with titanium posts. Once implanted, they are indistinguishable from your natural teeth. They are more comfortable than dentures. Many patients find dentures to be annoying because they can fall out at inopportune times, they require special creams and adhesives, and they typically have to be removed before going to bed. Dental implants are strong and can last a lifetime. Dental implants stay in place without shifting around in your mouth or becoming dislodged. If that wasn’t exciting enough, they’re also easy to care for, never need a filling or root canal, and will never decay. Increase your quality of life. Walking into a room full of family and friends with the overwhelming desire to smile – priceless! WHAT TO LOOK FOR WHEN CHOOSING A DENTAL IMPLANT SPECIALIST? Modern implant technology can not only give you the beautiful smile you’re dreaming of, but it can also be a gift you can enjoy for the rest of your life! One of the most important things to think about when it comes to the longevity of your implants is choosing the right dentist to help you build your perfect smile. Dentist or Prosthodontists?Not all practitioners training is equal. Dentists are trained on general dental techniques, whereas a prosthodontist has up to an additional three years of specialized training through an ADA-accredited program in replacing teeth and restoring your oral health for your whole mouth! Do They Offer a Lifetime Guarantee? Do they guarantee their work? What types of assurances do they have in place to make you feel comfortable about your investment? Do They do One-day Treatments? Going into the dentist for an impression at one appointment and waiting weeks to get your implants is the pits. Some dental practices offer faster turnarounds and even one-day treatments! Do They Practice IV Sedation Dentistry? Not many people wake up in the morning thinking, “I can’t wait to go to the dentist today!” If dental work gives you anxiety, make sure to ask the practice if you have the option to have the procedure done under anesthesia. Do They Offer a Best-price Guarantee? Do they pay attention to what their competitors offer and give you the best price in your area for comparable procedures? Do they have financing options? Do they have someone on their team dedicated to helping you determine the best way for you to pay for your new smile? Do they offer more than just cash and credit card payment methods? Don’t miss out on asking these important questions. When you’re ready to talk to someone about your smile goals for the new year, make FastNewSmile your first stop. We offer free, no-obligation consultations and a true lifetime guarantee on all of our dental implants. Our dentists, Dr. Almasri and Dr. Caffoni, are both prosthodontist and experts in dental implant surgery. We offer affordable financing options, and happy to assist with filing dental insurance or medical claim on PPO plans. We’ll help you find the best dental implant or tooth replacement for your needs. Call us today at 1-877-375-0941 to schedule your free consultation today! 5 Oral New Year Resolutions From Experts Of Dental Implants • Are Dental Implants Permanent and How Long Do They Last?